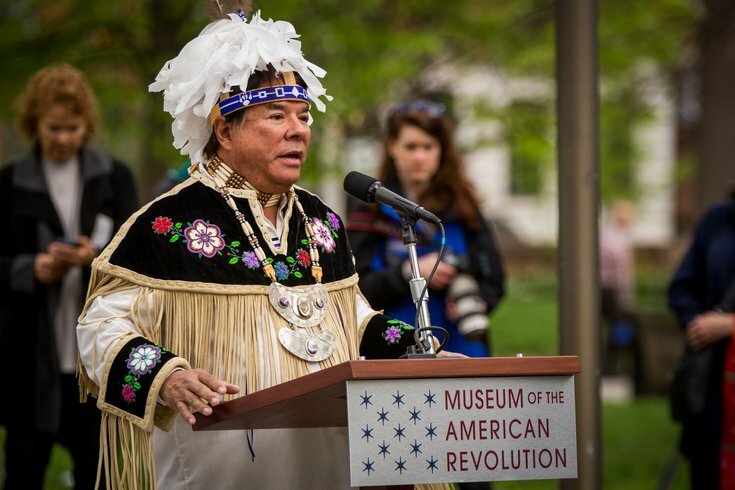 This Columbus Day weekend, the Museum of the American Revolution will host an Indigenous Peoples Celebration. Shown here is Ray Halbritter, Oneida Indian Nation Representative, Nation Enterprises CEO and a Museum Board Member. Columbus Day Weekend, the Museum of the American Revolution in Old City will host the Indigenous Peoples Weekend Celebration. The event is being hosted in partnership with the Oneida Indian Nation, who was a key ally of the United States during the Revolutionary War. Dancers from the Nation will perform in authentic dress outside the museum on Monday, Oct. 8. The free performances will take place at 11 a.m., 1 p.m. and 3 p.m. 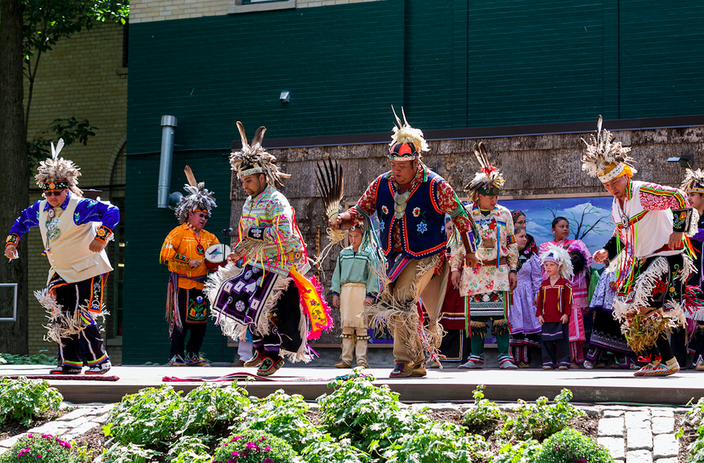 Dancers from the Oneida Indian Nation will perform traditional Haudenosaunee social dances in authentic dress at the museum’s plaza. Before Monday, there will be other activities inside the museum. On Saturday, Oct. 6, from 11 a.m. to noon, Native American objects from the Seneca Art & Culture Center at the Ganondagan State Historic Site will be on display during a discussion on how to best use objects to tell the stories of the past. Then from 2:30 to 3:30 p.m., there will be a behind-the-scenes look at creating the lifelike figures for the Oneida Nation Theater, which depicts Native American life during the Revolutionary War. Careful reproduction of clothing, equipment, hairstyles and tattoos were used to create the figures. Both activities are free with museum admission. Those interested can also purchase $20 tickets to a panel discussion on Thursday, Oct. 4, titled "Honoring and Remembering: Can We Memorialize Historical Figures Without Glorifying Atrocities?" The panel will explore whether a moral society can honor the positive accomplishments of historical figures, while also accurately recounting the negative consequences of their actions. "As the country prepares to recognize Columbus Day, it is important to explore how we can remember historical figures accurately and appropriately. This conversation goes well beyond the nation's founding and has recently included debates about monuments to Confederate military icons and other memorials," said Ray Halbritter, Oneida Indian Nation representative and museum board member, who will participate in the panel.